Deadlines are often my mortal enemies. They hate me, and rightly so. I taunt them. I brush up against them in annoyingly familiar ways. I tell them their father was a hamster and their mother smelled of elderberries. This behavior doesn’t make them go away. In fact, they seem to loom larger the more I harass them. They are angry, bitter little beasts that don’t appreciate my behavior in their presence. You see, I’m a procrastinator. Always have been. Was late for my own birth, and I’ve perfected the skill in the ensuing years. I had to run for the bus an unprecedented number of times during my school years. I had to stay up late in college the night before a paper was due. I left for work thirty seconds later than it would take the average person to get there. It’s almost like I don’t hear the clock ticking until the deadline is breathing down my neck. Deadlines love this behavior. They start taking bets on me, that I’ll falter and miss the deadline this time. Sometimes they’ve thrown my self-imposed, internal deadlines at me as signs that I’ll likely miss a real deadline currently before me. But they don’t understand that I know the difference between a random, self-imposed deadline and a real, can’t-change-the-date deadline. I know because I routinely conquer the latter while allowing myself way too much slack on the former. The proposed September release for my upcoming cross-country train trip book, Train of Thought, was a target date for my Indiegogo backers. I chose that month based on what seemed reasonable once I got home from my trip in mid-May. Setting the date with a month—but no specific date—gave me more than four weeks of leeway to keep that rather flexible, self-imposed deadline. Meanwhile, the deadline demons know how crazy my summers are and were giggling with glee that this time they would win. What they failed to factor in was Beaver County BookFest on September 9. There was no way I was going to sit at a third BookFest table in a row with the same four books for sale. I needed a new book this year. Add a real deadline I cannot change onto my self-imposed deadline and you’ve got one determined writer. Once I am up against a wall I cannot tear down, I always scale it just in time. Always. I procrastinate until the adrenaline kicks in, and then I dash ahead. The deadline demons keep forgetting that I have more than a half century of practice at this. Don’t try this at home, kids. I’m a professional. I have approximately ten days to finish this book (including layout, which is already in place) in order to have physical copies here before September 9. That’s plenty of time, as long as I don’t clean the house or have a social life or get heroic with dinner prep for the next week and a half. Which is standard operating procedure around here even when I’m not on a deadline. So, if you see me on social media sites at all over the next ten days, it’s only because I need to remind myself that the real world is still out there and hasn’t been nuked into oblivion by some little nutjob halfway around the world. Because that’s about the only thing that’s going to stop me from meeting this deadline. This past week I released both the print and Kindle editions of my cozy mystery, The Scarlet Letter Opener. Not the first novel I’ve written, but the first novel I’ve put out there in the big, wide world. And it feels a lot like watching your firstborn grow up, move out, get married … all those overused empty-nest clichés. It feels like all of them, but a lot more personal because, if your novel flops, you can’t blame it on anyone else but yourself. Nature, nurture, whatever. It’s all crap when you release a novel. Well, you can try to blame it on the cover designer or your beta readers, but that’s just a passive-aggressive device to avoid blame, and it’s not fooling anybody. Anyway, a few of my trusted friends [read: I’m pretty sure they’re not going to kill me in my sleep] finally convinced me that it was time to step up to the plate and shoulder the blame. Wait… this isn’t coming out the way I had expected. Not really enticing anyone to read the book, am I? 1. 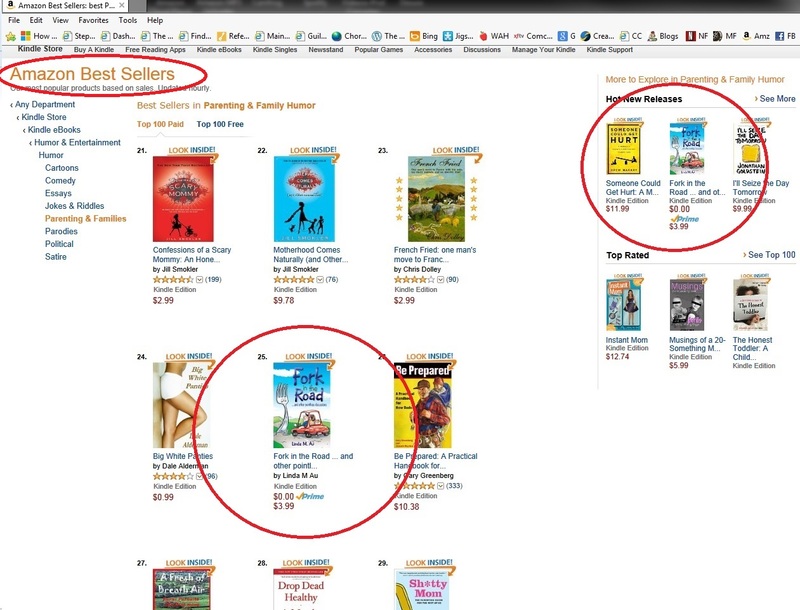 The Scarlet Letter Opener, a cozy mystery, is now available on Amazon.com. 2. Please buy it and/or borrow it from Amazon.com. 3. If you buy and/or borrow it and enjoy it, please leave a favorable review on Amazon and/or Goodreads. Authors rely heavily on those reader reviews (especially the good ones). 4. If you buy and/or borrow it and don’t enjoy it, keep it to yourself, all right? Nobody wants to hear your negativity. In other, semi-related news, another novel should be showing up within the next few weeks. This one’s a lot more serious. The cover reveal should happen later this week. Rules 2–4 above will still apply. You’re officially on notice. 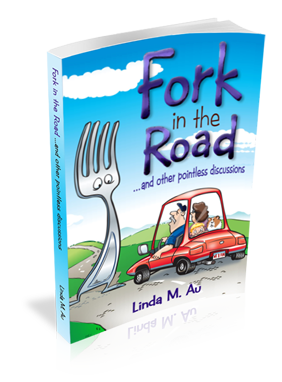 Fork in the Road … and other pointless discussions is lurking around the CreateSpace ether, waiting to be cleared for takeoff. I’m obsessively checking my email inbox every twenty-seven seconds or so (give or take five seconds) so I can check the digital proof as soon as it shows up and approve the final layout. It’s been a long time coming, but I can honestly say I am happy and relieved to finally have it heading out into the world. It clocked in at about 4,000 words more than Head in the Sand … and other unpopular positions. Many of the essays in Head in the Sand were written for contests or other venues (which makes for a bit of unevenness in a few spots), but everything from Fork in the Road was written with the book in mind. I quite literally couldn’t have gotten here without your friendship and wisdom, lovingly shared. Thanks, guys! 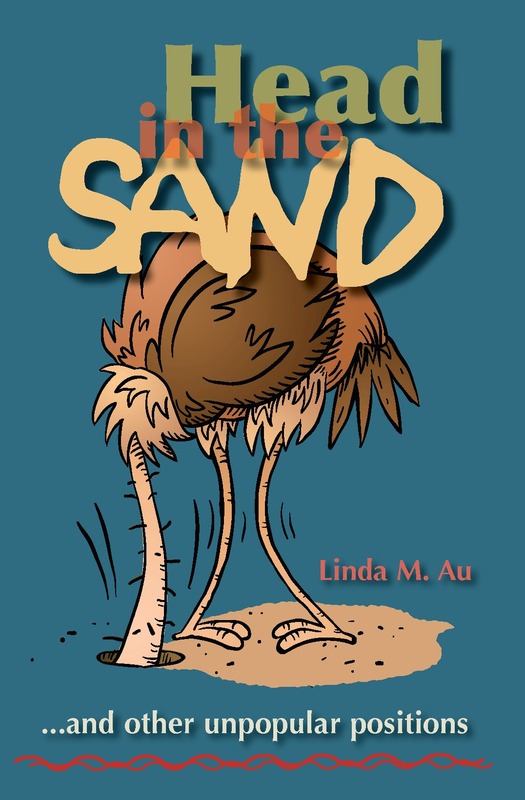 In anticipation of Fork in the Road going live any second now [furtively checking email on the second monitor just in case… nope…], I’ve put Head in the Sand’s Kindle edition on sale for $0.99! CHEAP! CHEAP! <——- CLICK HERE! Be on the lookout for upcoming posts with direct links to Fork in the Road! Ah, a blog hop! I still haven’t quite figured out what it is, but I’m participating anyway. Read here, then hop away! Below are my thought-provoking and informative answers to some questions a bunch of authors are asking and answering right now. And, I really do hope to have Secret Agent Manny out by late spring. Yes, of THIS year. Why do you ask? I’m most excited about Secret Agent Manny, a comic pseudo-spy novel (more comic than spy, although the pseudo part would probably be the best adjective of the three if I’m being perfectly honest). I have a hard time getting into a project (especially a large project) until I have a good title, and although I’m usually open to suggestions for titles, I also know it when I hear it. And, at the end of the day, I’ve usually come up with it myself. And then I can move forward. I’ve been told I’ve got a knack for coming up with great titles. When a previous project, Do-It-Yourself Widow, placed as a runner-up in a national novel contest a few years ago, I was told that my title was the best of them all. Now, if only I could get similar praise for the other 75,000 words in that project. Secret Agent Manny is my 2012 National Novel Writing Month project. The idea has to be credited to two writer pals of mine, James Watkins and Fara Howell Pienkosky. While at a writing conference last June, I got a disturbing phone call from my husband still at home, about a burglary there. As the writing conference progressed, Jim and Fara poked and prodded me into believing that my husband was actually living a double life as a spy. Since Jim and I are both humor writers, and since Fara, though much more spiritual than I, has one of the best senses of humor in these parts, we escalated my poor husband’s imagined double-life to outrageous proportions the rest of the week. I’d be more worried if you asked me what table my book fell under. But, to answer your actual question: It’s a comic pseudo-spy novel. Weren’t you paying attention earlier? See, I don’t think there’s enough real spy action for this to be a James Bond movie, and I’m not sure the comedy translates all that well outside of book form … but since you ask, I’ll have to go with Oliver Platt for Manny and Mary Louise Parker for Amanda—but only if she’ll eat a sandwich or something first. That woman is too thin. A bored wife with too much time on her hands begins to suspect that her quiet, mild-mannered husband is really a spy … and she inadvertently turns their lives upside down in her quest to discover the truth. After years of telling myself that it was all right to self-publish the humor-essay books but not the novels, I’ve decided that God gave me a direct path to self-publishing even the novels: I’ve worked in the prepress publishing world for decades, and I have professional skills as a typesetter and proofreader. Why would I wait to see my book in print for years while going the traditional publishing route when I can wear all the prepress hats myself? Life is too short to be traditional about this. Besides, within the next few nanoseconds, the term “traditional publishing” won’t mean anything anymore. I’m still working on Secret Agent Manny, but the first 50,000 words are done—and now edited—and were originally written in November 2012, as part of NaNoWriMo. But, once I’m on fire about a project, I can churn it out quickly. I hope to have this ready by late spring 2013. Just don’t quote me on that. Ha ha ha. Genre. Compare. You’re so funny. More kudos to those pesky friends of mine, Jim and Fara, for the inspiration. And once I went from just having fun coming up with reasons my husband is a spy during a writing conference to actively taking notes for a novel, the ideas just wouldn’t stop coming. You’d be amazed at how differently you’ll look at your own spouse when you see just how many common household items and common daily routines you can call into question. All you need is a paranoid, suspicious nature and a little creativity, and all hell breaks loose.